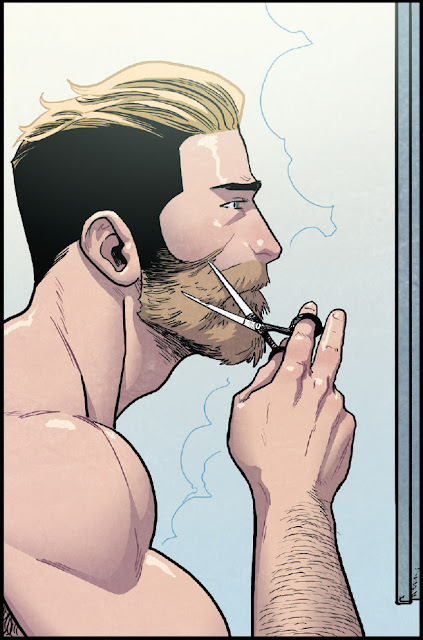 Alas, this will probably be the last Star Lord beefcake we'll see from Kris Anka in a while. The book was cancelled after six issues. Six glorious, fanservice heavy issues. Seriously, they packed a lot of Peter Quill eye candy in this thing. And for that it will always hold a special place in my heart. Scans from Star-Lord # 6. Seriously, he knows how to make fans of male super heroes sigh madly!! !